The facilities included a rail-mounted processing building, used to assemble space launch vehicles before they are moved to the launch pad. 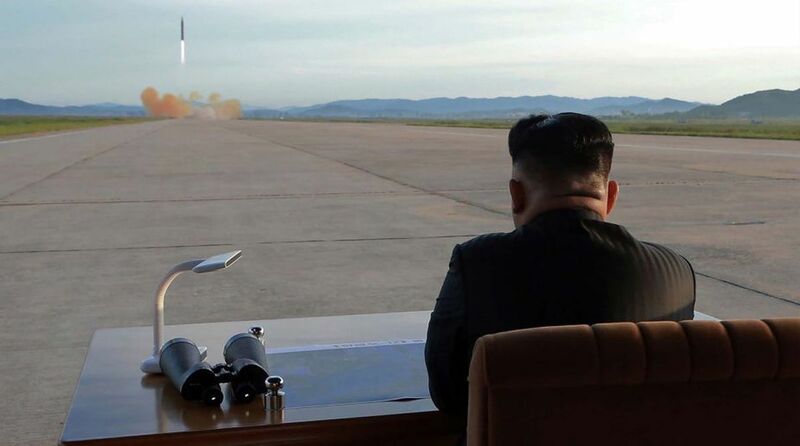 North Korea has begun to dismantle a missile engine testing site in line with a promise made by its leader Kim Jong-un at his historic summit with US President Donald Trump, according to a US-based monitoring group. According to 38 North, the images taken from July 20-22 and published by the North Korea-focused website, showed key facilities being dismantled at the Sohae Satellite Launching Station, located in the north Pyongan province, near the country’s northwestern border with China. The facilities included a rail-mounted processing building, used to assemble space launch vehicles before they are moved to the launch pad. Completed around 2011, Sohae is considered the main base for North Korea’s space programme and has been used for three important launches. Also being dismantled was a rocket engine test stand that had been used to build liquid-fuel engines for ballistic missiles and space launch vehicles, Yonhap news agency reported. “Since these facilities are believed to have played an important role in the development of technologies for the North’s intercontinental ballistic missile programme, these efforts represent a significant confidence building measure on the part of North Korea,” 38 North said, adding that the work probably began sometime within the past two weeks. The dismantling of Sohae could help in expediting US-North Korea dialogue after the two sides agreed to improve ties and work for the denuclearization of the peninsula in exchange for Washington guaranteeing the North Korean regime’s survival during the June 12 summit in Singapore between the leaders of the two countries. During his summit with Trump, Kim agreed to dismantle the rocket engine testing facility. The declaration signed by the two sides, however, was criticized for not laying down protocols or concrete steps. A recent visit by the US Secretary of State Mike Pompeo had also highlighted the different priorities of the two governments and the complexities of a process which could stretch over a long time. Pyongyang had also urged Seoul and Washington to sign a treaty formally ending the Korean War. The US Department of State responded on Monday by saying that the agreement would be signed after North Korea’s denuclearization. Meanwhile, South Korea reacted positively to reports of the dismantling of the missile site.